Summer camp is fast approaching, and sending your child to a camp is one of the best ways to ensure that they will enjoy and learn useful lessons during this summer vacation. After that you have chosen the best summer camp for your child, it is now important to make sure your child is fully prepared to go. 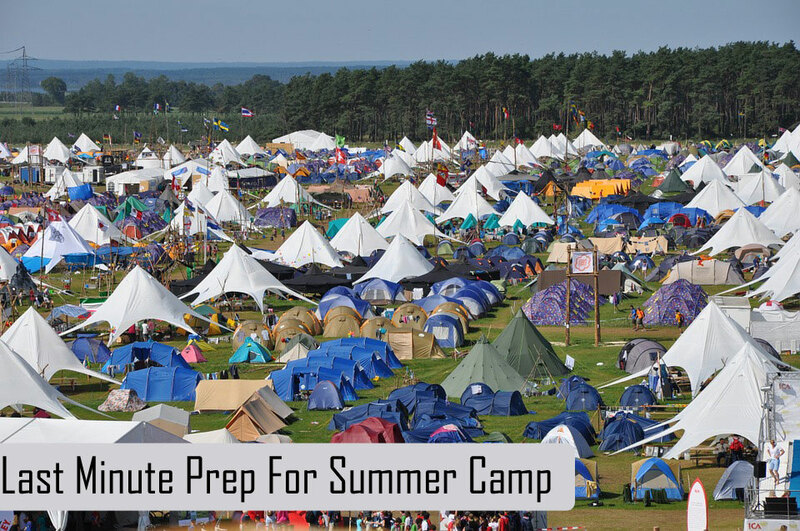 It does not matter if this is the first time for your child is going to attend summer camp, or if they have been doing this for years; preparation is the key if you want to ensure your child has an exciting camp experience. Here are some last minute items you will want to check off your list as you complete your preparations. It’s ideal to visit the mid-term camps Dublin with your child a few days before summer camp begins. This way, you and your child will have a feel of the place before it is swarming with strangers. However, if you visiting the camp is not a possibility, do some research, and maybe check the camp’s website, or read some reviews. Try to familiarize yourself and your child with what the camp, cabins, and the facilities look like. For first time campers, it is advised that they attend with a close friend or relative. Well in advance, approach the parent of your child’s close peers and inquire if they are interested in sending their children to summer camp. For overnight camps, it is recommended that the friend be the same age; this way, they can share a room together and stay in the same cabin. Ask your child to help you while packing so that they know where all their items are. Although buying one or two new items is completely fine, you should consider how rough camp may be for your child. It may be a waste to spend revenue on new clothes that will only end up getting dirty or torn. First-timer campers will appreciate the familiarity of their old clothes more, since these remind them of home. Be sure to spend substantial amounts of quality time with your child and talk about what they can expect at summer camp. Let them share their fears and concerns, and reassure your child that what they are feelings is completely normal. Some camps do not make phone calls available to children, and most camps do not allow cell phones, so these discussions are extremely important if you want to ensure their peace of mind. Surprise your child with a letter once they enter the summer camp. Be sure to mention how exciting summer camp will be for them, and let them know how proud you are of them. Care packages will also be the highlight of your child’s day when they are at camp. It is very important to make sure that what you are sending to them has items they will definitely love. Be sure to follow the guidelines and policies of the camp. Some things you can consider sending include food (if the camp allows it), games, cards, journals, or a disposable camera. After all the planning is done, remind your child that they are going to have fun, make friends, and new memories. Florin is an Online Marketing expert and blogger who likes to research the latest trends in business, technology and marketing and writes about a range of topics. Tinnitus: What does tinnitus Sound Like? What to do when the baby starts tooth?